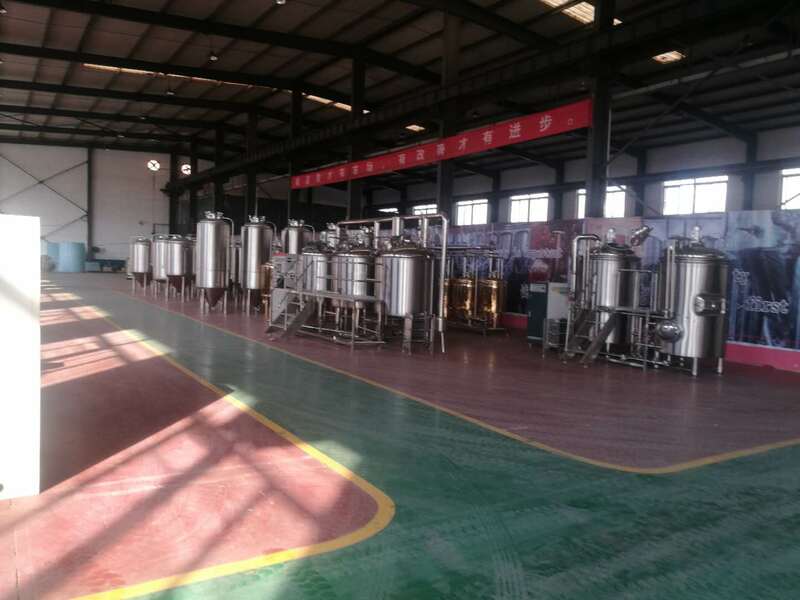 Market analysis for beer equipment-News -Shandong zunhuang brewing equipment Co., Ltd. In terms of domestic demands, production and consumption structure of the large beer equipment worldwide are changing so rapidly that the main market transferred from Europe and North America to Asia and the new focus being China and other countries in East Asia. Huge demand forecast is spurring the existing manufactures to constantly increase production capacities. The way of forecast is regression analysis. From this equation, C represents industry activity coefficient;J represents industry; D1 and d1 represent proprietary interests of the enterprise and the whole industry;D4 and d4 represent labor productivity of the enterprise and the whole industry. Constants before each factor (0.3,0.2,0.25,0.25)are weights imposed based on importance of each indicator. If every indicator of the enterprise is at the average level of the industry,while the activity coefficient is 1. The larger activity coefficient is, more powerful activity of the enterprise become. It is expected the industry activity coefficient of the large beer equipment in 2011 is 6.6. Based on such estimates, there are bigger opportunities for the current industry. Return on investment of the enterprise divided by average investment volume equals the rate of return on investment. It could be expressed as a formulation: the rate of return on investment = return on investment/average investment volume * 100%. In the formulation, average investment volume = (begining long-and-short-term investment + ending long-and-short-term investment)/2.Such indicator represents the profitable capability for the enterprise by long-and-short-term investment of capital. Rate of return on investment of the large beer equipment in 2009 is 21.52%, somewhat lower than that in 2008. But such rate on the first half of 2011 showed upbeat as 25.98%. It is the time to invest now. It is estimated the rate of return on investment of the large beer equipment from 2010 to 2015 is as following: forecast rates of return on investment of the large beer equipment in 2009,2010, 2011,2012 are 21.52%,23.74%,24.25%,25.22% respectively. Generally speaking, as China’s future economy broader environment is gradually developing, the rate of return on investment of the large beer equipment will be firmly increasing. It is estimated investment trend forecast of the large beer equipment industry from 2010 to 2015 will show weighing on the investment of the medium and high end large beer equipment, average investment of the whole industry from 2010 to 2015 will account for 63.59% and the low end large beer equipment will account for 36.41%. From the estimates of the table below, orientation of investment on the large beer equipment from 2010 to 2015 is mainly as: investment on developing marketing channel to enhancing the brand impact and increase investment on advertisement, investment on R&D of the product to expand the new product’s launching, investment on the equipment and process to improve quality of the product and labor productivity, investment on expanding the scale of production. Orientation Forecast of Investment on the Large Beer Equipment from 2010 to 2015.